I've been busy but I have got some work done on SBX:Invasion lately on the back end fixing up some things on the back end and working out some bugs that were in the game. Also I have a sound artist working with me to make some tracks for the game as well! Soon I'll have some sound effects as well to add to the game. The biggest thing so far was fixing some broken systems in the game that weren't working as I wanted to. 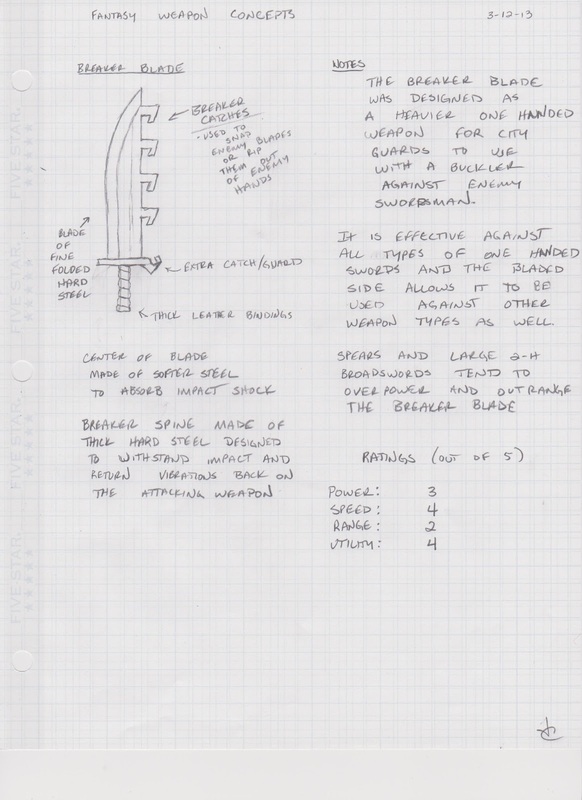 Also, unrelated to SBX:I, I made some fantasy sword design pages. I'll show those as well. I have a new sound artist working on the project in his spare time. Like me, he has a separate job so it works well for the timing of getting work done. So far he has an initial version of the title track and a level track done. So, those are the two songs done so far for the game. You can expect more later too, this guy is pretty good. - The game now correctly adjusts to your resolution. It wasn't updating room specs properly so I did this all in the new Intro room that sets up the settings for the rest of the views in the game. This eliminated a nasty bug that screwed up the mouse location and kept you from moving the mouse to certain areas of the screen. - There is now a minimap in the game! This will be able to be turned off later and the graphics will be improved but it shows you the entire level in the corner of your screen and shows where all the enemies are and what is going on. I definitely need to make the minimap more efficient, it currently uses quite a bit of processing power to determine where everything is every step so that needs to be tuned back and adjusted so that it requires less processing power. - There is no longer a zoom function. You are currently zoomed out to 1.5x and that gives a pretty big area for you to see what is going on in the game. 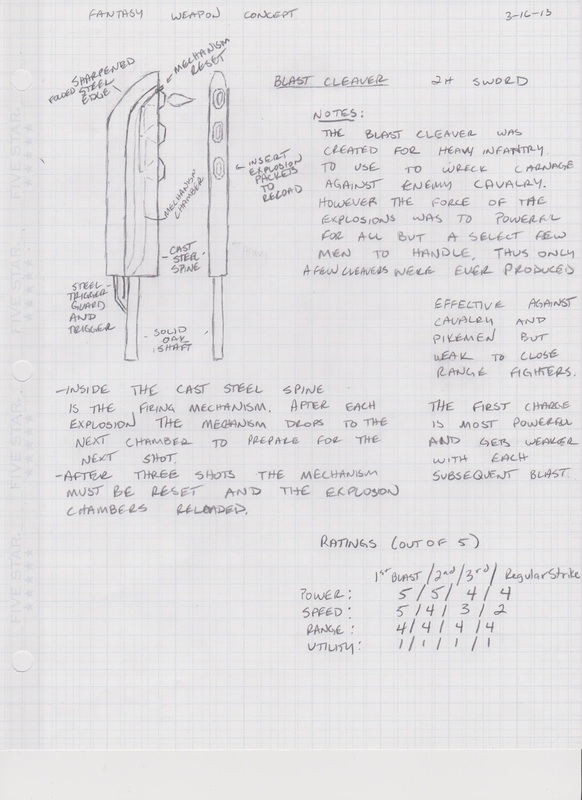 - A bunch of items and adjustments were made the previous iteration I did but I don't seem to have those notes nearby. I'll edit this later if I find them and feel like letting you know what is added ;). - Clickable interface that allows you to select placed turrets to see stats, upgrade and sell towers. - When the clickable interface is added, the item destroyer will be removed. - A boss in level 3! I'll have to figure out what to do for it though. - More UI elements and the ability to toggle them on and off. - An escape menu to leave the game, adjust settings, etc. So that's what I have planned for future releases. I'll see how much I can pack into the next downloadable update. 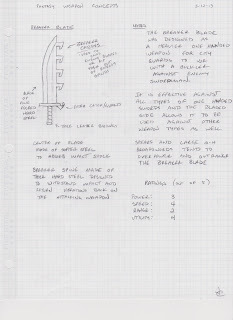 I had some free time at work and drew up some design pages for ideas on some swords. 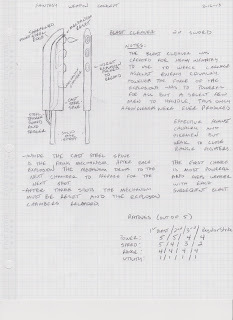 I am currently working on a 3D model for the "Mirror Sword" for Link from the Legend of Zelda series in order to practice getting better at Blender. Once I can get a good render of it I'll post it up here. Don't expect much it's super simple. I know I haven't posted on my blog in a while but that's what's been going on. As far as personal stuff goes, I had an interview for another Stationary Engineer position out in Boulder, but I turned it down due to a farther drive and it really wasn't offering what I was looking for. Also, less than two months till I get hitched! I'm pretty excited as I found someone pretty darn special. That's really about it, I've been working lots of nights and haven't been as motivated to program as I would have liked in my free time, but I'm going to start planning things out and set some goals to get some things done over the next few months before I go to Italy for my honeymoon. Yeah, Italy. Baller. [SBX:I] New Download and some cool new features!